This article is about the military term. For the parliamentary procedure, see Filibuster. Filibuster William Walker launched several expeditions into Latin America. For a time he ruled Nicaragua, although he was eventually forced to return to the United States. In 1860, he was captured and executed in Honduras. 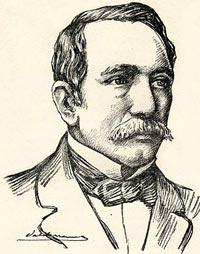 Filibuster Narciso López launched an unsuccessful expedition to Cuba in 1851. A filibuster or freebooter, in the context of foreign policy, is someone who engages in an (at least nominally) unauthorized military expedition into a foreign country or territory to foment or support a revolution. The term is usually used to describe United States citizens who fomented insurrections in Latin America, particularly in the mid-19th century (Texas, California, Cuba, Nicaragua, Colombia). Filibuster expeditions have also occasionally been used as cover for government-approved deniable operations. Filibusters are irregular soldiers who (normally) act without official authority from their own government, and are generally motivated by financial gain, political ideology, or the thrill of adventure. The freewheeling actions of the filibusters of the 1850s led to the name being applied figuratively to the political act of filibustering in the United States Congress. Unlike a mercenary, a filibuster leader/commander works for himself, whilst a mercenary leader works for others. The English term "filibuster" derives from the Spanish filibustero, itself deriving originally from the Dutch vrijbuiter, "privateer, pirate, robber" (also the root of English "freebooter"). The Spanish form entered the English language in the 1850s, as applied to military adventurers from the United States then operating in Central America and the Spanish West Indies. The Spanish term was first applied to persons raiding Spanish colonies and ships in the West Indies, the most famous of whom was Sir Francis Drake with his 1573 raid on Nombre de Dios. With the end of the era of Caribbean piracy in the early 18th century "filibuster" fell out of general currency. The term was revived in the mid-19th century to describe the actions of adventurers who tried to take control of various Caribbean, Mexican, and Central-American territories by force of arms. In Sonora, Mexico, there were the French Marquis Charles de Pindray and Count Gaston de Raousset-Boulbon and the Americans Joseph C. Morehead and Henry Alexander Crabb. The three most prominent filibusters of that era were Narciso López and John Quitman in Cuba and William Walker in Baja California, Sonora, and lastly Nicaragua. The term returned to American parlance to refer to López's 1851 Cuban expeditions. Several Americans were involved in freelance military schemes, including Aaron Burr, William Blount (West Florida), Augustus W. Magee (Texas), George Mathews (East Florida), George Rogers Clark (Louisiana and Mississippi), William S. Smith (Venezuela), Ira Allen (Canada), William Walker (Mexico and Nicaragua), William A. Chanler (Cuba and Venezuela) and James Long (Texas). Gregor MacGregor was a Scottish filibuster in Florida, Central, and South America. Although the American public often enjoyed reading about the thrilling adventures of filibusters, Americans involved in filibustering expeditions were usually in violation of the Neutrality Act of 1794 that made it illegal for a citizen to wage war against another country at peace with the United States. 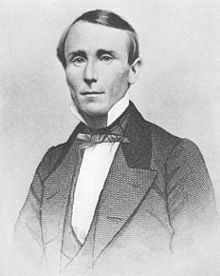 For example, the journalist John L. O'Sullivan, who coined the related phrase "Manifest Destiny", was put on trial for raising money for López's failed filibustering expedition in Cuba. In the 1850s, William Walker attempted a filibustering campaign with a strategy involving his leading a private mercenary army. In 1853, he successfully established a short lived republic in the Mexican states of Sonora and Baja California. Later, when a path through Lake Nicaragua was being considered as the possible site of a canal through Central America (see Nicaragua canal), he was hired as a mercenary by one of the factions in a civil war in Nicaragua. He declared himself commander of the country's army in 1856, and soon afterward President of the Republic. After attempting to take control of the rest of Central America and receiving no support from the U.S. government, he was defeated by the four other Central American nations he tried to invade and eventually executed by the local Honduran authorities he tried to overthrow. Many Confederate Army officers and soldiers, such as Chatham Roberdeau Wheat, of the Louisiana Tigers, obtained valuable military experience from filibuster expeditions. The author Horace Bell served as a major with Walker in Nicaragua in 1856. The notorious Colonel Parker H. French served as Minister of Hacienda and was appointed as Minister Plenipotentiary to Washington in 1855. In the 19th-century Philippines, the Spanish filibustero gained connotations significantly different from those of the English derivative. The title of the highly influential novel El Filibusterismo by Philippine national hero José Rizal could literally be translated as "filibustering", but could also mean "subversion". William Walker's filibusters are the subject of a poem by Ernesto Cardenal. This page is based on the Wikipedia article Filibuster (military); it is used under the Creative Commons Attribution-ShareAlike 3.0 Unported License (CC-BY-SA). You may redistribute it, verbatim or modified, providing that you comply with the terms of the CC-BY-SA.